A neccesary stuff for luggage attaching to your scale truck or pick up. You can hook all the stuff to your roof rack or bed with a maximal scale effect. 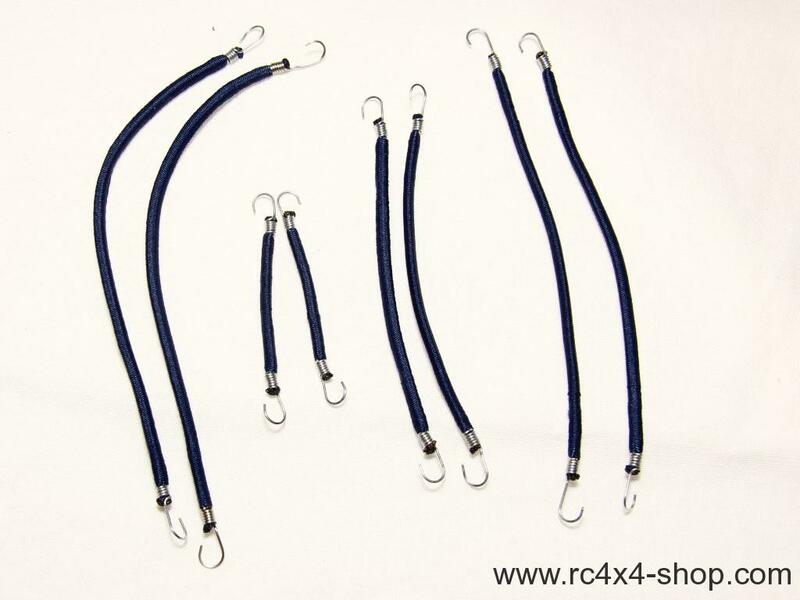 Hand manufactured from high quality elastic rope of 2,5mm thickness. Can be stretched with 75% of its length. 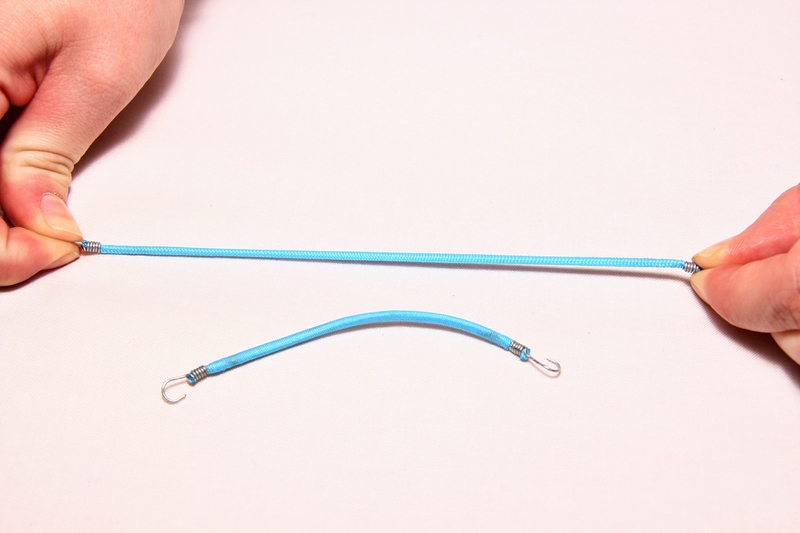 Hook diameter is about 5mm and material of hook is only 0,5mm thick.